Maynard Ferguson. Doc Severinson. Louis Armstrong. Randy Brecker. The list goes on. The trumpet is a longtime favorite lead instrument in jazz. 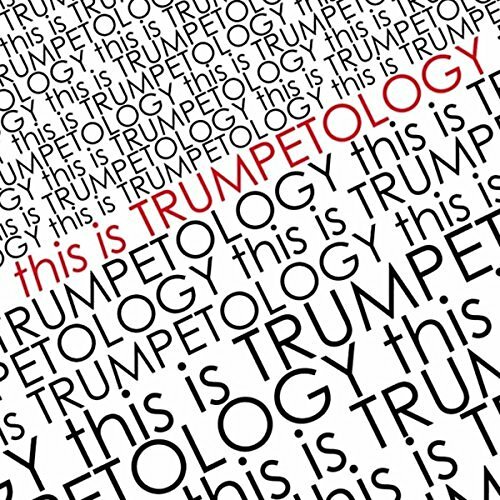 And Dr. Walter Simonsen celebrates that legacy by presenting his group, Trumpetology, and the album, This Is Trumpetology (Simonsen Sounds, 2016). Five trumpet players are combined with an acoustic rhythm section and one rapper. The “ologists” are Walter Simonson, vocals on “I Wish”; James Blackwell; Brian Owen; Tim Gill, vocals on “Summertime”; Brian Mantz; and Cameron Summers. The “rhythm-ologists” are Kait Dunton, Cooper Appelt and Jake Reed on most tracks; and Adam Bravo, Alex Frank and Adam Alesi on three songs. Dynamic…Energetic…Charismatic…Warm-hearted…These are just a few adjectives that have been used to describe saxophonist Tom Braxton, whose distinct, melodic sound has been thrilling audiences of all ages from coast to coast and abroad for nearly two decades. This versatile instrumentalist and gifted composer is a seasoned performer who has the amazing ability to “grab the heart-strings” of the audience within the first few minutes of his show; engage them with his exceptional skill, wit, and charm; and leave them astounded, clapping, and on their feet screaming for more! This native Texan has recorded nine albums including The Other Side (2016 Sanae/Braxton collaboration), The Next Chapter (2014), Endless Highway (2009), and Imagine This (2007) on the Pacific Coast Jazz label and Bounce (2005) on the Rendezvous label. His latest release, The Other Side, is a collaborative project with label mate Robert Sanae. Just like the perfect cup of coffee, Sanae and Braxton have brewed a delicious blend of contemporary, chill, and smooth jazz. Tom toured extensively with Wayman Tisdale for 17 years, also serving as Musical Director. Braxton has toured with Earl Klugh in South Africa, Malawi, Mozambique, and Japan, and he has also toured with Keiko Matsui in Russia, Eastern Europe, Malaysia, and Japan. This project is available at Amazon.com. Life Happens with or without you. So get involved, that’s the overall theme of this project. Jazz, Funk, Latin rhythms, R&B and a whole lot more helps paint the canvas for Life Happens. It is a soundtrack, a journey and an evolution of musical consciousness. With the help of Joyce Spencer (Sax & Flute), Sam Hankins (Trumpet), Gary Fuston (Guitar) and Rod Williams (Sax), a timeless collection of music is produced. It captivates, motivates, soothes and encourages the soul of the listener who will be hooked. Inspired by life, love and other life changing events, this album captures the spectrum of life in 11 tracks and a bonus 12th, which is only available on the hard copy CD. In this crazy climate, isn’t it nice to know that Life still Happens and you are a part of it. Life Happens, become a part of our lives and enjoy this musical experience. Life Happens is a recommendation at CDBaby. 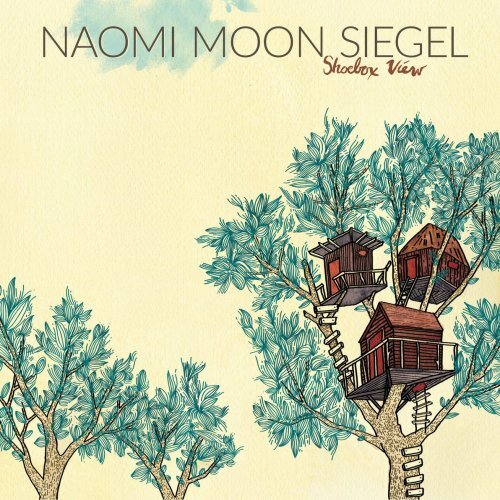 With support from the community of her Seattle home, Naomi Moon Siegel presents an eclectic soundscape with Shoebox View (2016). Siegel plays trombone, and on selected tracks, piano, ukulele and keyboard. Other musicians are Sean Woolstenhulme, electric guitar, acoustic guitar and banjo; Wayne Horvitz, piano, organ and Wurlitzer; Eric Eagle, drums and percussion; Keith Lowe, upright bass; Alex Guy, viola; Ivan Arteaga, alto saxophone; Michael Coleman, Wurlitzer and synthesizers; Thione Diop, percussion; Jefferson Rose, electric bass; Andrew Vait, synthesizers; Jacques Willis, beat production; Greg Sinibaldi, baritone saxophone; Steve O’Brien, trumpet. “Punta Uva” is a tranquil piece. Siegel opens the song accompanying herself, trombone and piano. After the initial pass, Woolstenhulme joins. Followed by Arteaga. The incremental elements give the song a sense of growing depth and an aromatic blend. 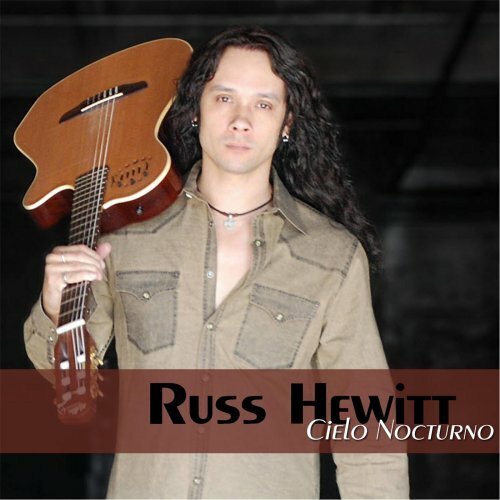 Guitar virtuoso Russ Hewitt describes his style as smooth jazz, Nuevo Flamenco and Latin World music. He counts the albums Bajo el Sol (2008) and Alma Vieja (2011) to his credits. His new album Cielo Nocturno (2016) already garnered rave reviews. Guest musicians on this album are Larry Carlton, Ardeshir Farah and Alfredo Caceres (guitars), Bob Parr (bass, keyboards), Raphael Padilla (percussion), Walfredo Reyes Jr. (drums) and Wladimir Kaliazine (accordion). A colorful bunch of musicians, a motley crew of styles. All songs are composed by Russ, no cover in sight. The album starts with Presidio, a Latin tinged song with a strong shot of joie de vivre. A catchy melody brilliantly presented. Freeman L. Semons, Jr is a published fiction author, a songwriter, a smooth jazz keyboardist, a graphic artist/designer and a book publisher. He started drawing things around age 5. He studied Commercial Art in high school at Milwaukee Tech and Graphic Design at MATC. He graduated from MATC in May 2013. earning an Associate’s Degree in Graphic Design. He has been writing fiction since age 10. He released his first novel The Oracle Book through Stonegarden.net Publishing (an independent book publisher) in 2008. His current novel Archangel (as well as the re-release of Oracle Book) were self-published under his own Morning Breeze Publications imprint August 2015 via Amazon. In 2011, Christopher’s Project (a renowned jazz group in the greater Milwaukee area) covered four of Freeman’s songs for their CD release entitled “Givin’ It To You”. Freeman has been writing and composing music under his own Morning Breeze Music imprint since age 20. To date, he has produced over 30 CD albums ranging from R&B and Gospel to Smooth Jazz and New Age Soundscapes. His current album is entitled Free. Free is a new collection of sophisticated smooth jazz grooves and up-tempo vibes highlighting Freeman’s unique songwriting style. Jazmin Deborah Ghent is a new contemporary jazz artist with a passion for music. Born in Heidelberg, Germany and raised in Huntsville, Alabama, she became interested in music at age 5 when she began taking piano lessons. She became the Sunday School pianist at the age of 8 and often practiced with the adult musicians and church choir members. After being introduced to the saxophone in Middle School, she progressed to becoming the church pianist and saxophonist. She is a recent graduate from Florida State University (bachelors) and Tennessee State University (masters). Jazmin majored in music education and is an accomplished musician in contemporary jazz, standard jazz and gospel. Her album Boss combines smooth, soulful jazz saxophone stylings reflecting a wide range of eclectic jazz phrases that makes the head bob and the body move. Now she returns with her album Chocolate Sunshine. Get the album at CDBaby.